The Ondo State Police Command has arrested Adeyemi Alao, the suspected killer of Miss Khadijat Oluboyo, the daughter of former Ondo State Deputy Governor Lasisi Oluboyo. Sources said she had died for about six days before her body was discovered inside her boyfriend’s room. Khadijat was found dead in Alao’s home on Sunday. Alao is said to be a permanent resident in Abuja. It was learnt that the suspect allegedly made attempts to bury Khadijat’s body in his house at Oke-Aro area of Akure, the Ondo State capital. According to a source, Alao had allegedly dug a grave in the room when nemesis caught up with him. 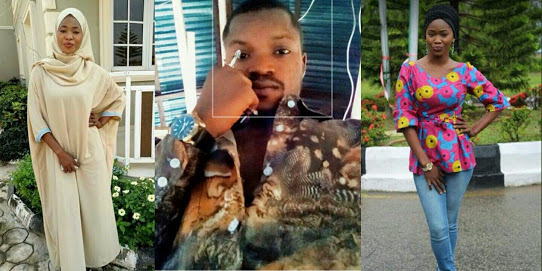 Khadijat, a 20-year-old final year student of Adekunle Ajasin University (AAU) in Akungba-Akoko, was said to be fond of visiting Alao each time he came to Akure from Abuja and usually passed the night with him. There were speculations that the suspected killer was a “Yahoo boy”, who allegedly planned to use the girl for rituals. The state Police spokesman, SP Femi Joseph, said the suspect was arrested by a team of detectives from the State Criminal Investigations Department (CID). He said Alao had been cooperating with the police on relevant information surrounding the circumstances of Khadijat’s death. The spokesman assured the public that the case would be thoroughly investigated to establish the facts behind the death of the lady who was a final year student. He added that the suspect and others, who might have been involved in Khadijat’s death, would be prosecuted.